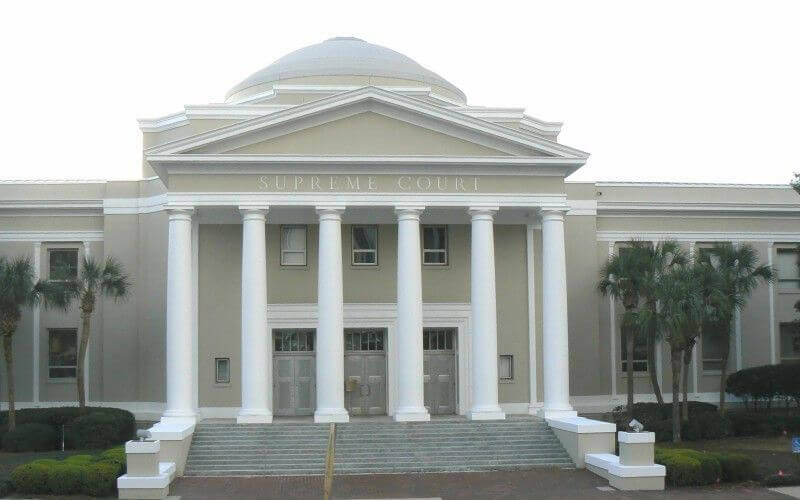 Summary: The Florida Supreme Court was forced to discipline 16 attorneys, ranging in punishment from disbarment to probation. Sixteen attorneys received punishments from the Florida State Supreme Court. One attorney was publicly reprimanded, one had their license revoked, six were disbarred, and eight suspended. William Robert Cohen is from Fort Lauderdale. He was admitted to the bar in 1997. He has been suspended until further notice. Cohen was found in contempt for failure to respond to an official Bar inquiry. John Christopher Getzinger is from Coral Springs. He was admitted to the practice just a few years ago in 2009. He has been disbarred for several issues, including engaging in unlicensed practice of law. Getzinger failed to appear at a final hearing or to respond to the official Florida Bar inquiry. He failed to communicate with clients adequately or to supervise non-lawyer employees. Kendra Lee Jowers is from Orlando and was admitted in 2010. She has been suspended for 30 days and then will be on probation for three years. She will be required to participate in a Florida Lawyers Assistance Program. She pleaded no contest to driving under the influence, a violation of her driver’s license restriction and three separate battery matters. Charles Jay Kane and Harley Nathan Kane from Delray Beach have been disbarred. Charles was admitted in 1965 while Harley was admitted in 1993. They have a condition of readmission where they must satisfy a civil judgment. Charles’s law firm and two other firms were hired by health care providers to provide representation against insurance companies in personal injury protection claims. The insurance companies included Progressive. It was found that Progressive was systematically declining to pay legitimate insurance claims. Bad-faith claims were filed for the clients by the law firms. Charles and his son Harley, who is his business partner, received $5.25 million in a settlement from Progressive. The two men gave their clients $672,000 and kept the remaining $4.5 million as attorney fees. The other attorneys sued Kane for unjust enrichment and fraud. Darin James Lentner is from Fort Lauderdale. He was admitted to the bar in 1991 and has also been disbarred. Lentner was also involved in the above Progressive case. Him and his business partner Laura Watson received $3 million from Progressive in a settlement. They paid their clients $361,000 and kept over $2 million as attorney fees. Kelly Anne McCabe is from Pinellas Park. She was admitted in 2004. She has been publicly reprimanded in the Southern Reporter and has been placed on probation for one year. She missed court deadlines and failed to follow court orders for appeals, showing a lack of competence in appellate procedures. An audit of her trust account showed she was also failing to maintain her trust account records properly. Ashby A. McClanahan Jr. from Sanford has been suspended for 30 days. McClanahan Jr. was admitted in 1978. He overdrew his trust account when he removed $69,000 of the funds and placed them in a safe deposit box at another bank. An audit showed he was not complying with the rules governing trust accounts. He has also not paid hi employer IRS tax obligation properly. Hector Pagan Jr. from Ocala has been disbarred after only being admitted for ten years. Pagan Jr. closed his law firm without notifying his clients. He failed to refund unearned fees and unexpended costs. Maria Elena Perez is from Coral Gables, She has been suspended for 92 days. She has been admitted to practice for 15 years. A Florida Bar referee discovered that Perez provided information during the Nevin Shapiro Ponzi-scheme case from bankruptcy witnesses with the NCAA in an investigation of the University of Miami. In another case she did not provide diligent and competent representation for a client. Neil Wayne Platock, admitted in 1985, has been suspended for one year. Platock is from Port St. Lucie. He was found to be not in compliance with a Feb. 1 suspension order. He was required to notify clients, opposing counsel and tribunals of his suspension, then to provide the Bar in 30 days a sworn affidavit with names and addresses of those given a copy of his suspension order. Tracy Preston Preece of Titusville was admitted in 1999. Preece did not communicate adequately or represent a client through a dissolution of marriage case diligently. He then failed to respond to official Bar inquiries or participate in the discipline process. Christopher M. Stephenson of Orlando has been suspended until further notice after being admitted for only 14 years. He failed to respond to an official Bar inquiry. Elizabeth Karen Touchton of Gainesville was admitted to practice 6 years ago. She had her license revoked with the ability to seek readmission after five years. The allegations against her include commingling trust funds, other trust fund violations, and drafting a power of attorney for two elderly women where she had complete authority over compensating her legal fees. Stephen Proctor Tourtelot from St. Petersburg has been suspended. He was found in contempt for not responding to an official Bar inquiry. Robert Philip Tuerk of Philadelphia, Pennsylvania has been suspended for three years. He was admitted to the state in 2002. He did not comply with a March 24 suspension order. He was required to notify clients, opposing counsel and tribunals of his suspension and then give a list to the Bar within 30 days of the names and addresses of those that had been given a copy of his suspension order.